Data Manipulation is an inevitable phase of predictive modeling. A robust predictive model can’t just be built using machine learning algorithms. But, with an approach to understand the business problem, the underlying data, performing required data manipulations and then extracting business insights. Among these several phases of model building, most of the time is usually spent in understanding underlying data and performing required manipulations. This would also be the focus of this article – packages to perform faster data manipulation in R.
What is Data Manipulation ? If you are still confused with this ‘term’, let me explain it to you. Data Manipulation is a loosely used term with ‘Data Exploration’. It involves ‘manipulating’ data using available set of variables. This is done to enhance accuracy and precision associated with data. Actually, the data collection process can have many loopholes. There are various uncontrollable factors which lead to inaccuracy in data such as mental situation of respondents, personal biases, difference / error in readings of machines etc. To mitigate these inaccuracies, data manipulation is done to increase the possible (highest) accuracy in data. At times, this stage is also known as data wrangling or data cleaning. 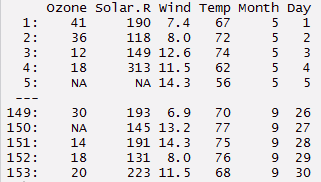 Usually, beginners on R find themselves comfortable manipulating data using inbuilt base R functions. This is a good first step, but is often repetitive and time consuming. Hence, it is a less efficient way to solve the problem. Use of packages for data manipulation. CRAN has more than 7000 packages available today. In simple words, these packages are nothing but a collection of pre-written commonly used pieces of codes. They help you perform the repetitive tasks fasts, reduce errors in coding and take help of code written by experts (across the open source eco-system for R) to make your code more efficient. This is usually the most common way of performing data manipulation. Use of ML algorithms for data manipulation. You can use tree based boosting algorithms to take care of missing data & outliers. While these are definitely less time consuming, these approaches typically leave you wanting for a better understanding of data at the end of it. Hence, more often than not, use of packages is the de-facto method to perform data manipulation. In this article, I have explained several packages which make ‘R’ life easier during the data manipulation stage. Note: I understand ggplot2 is a graphical package. But, it generally helps in visualizing data ( distributions, correlations) and making manipulations accordingly. Hence, I’ve added it in this list. In all packages, I’ve covered only the most commonly used commands in data manipulation. Simple focus on these commands and do great in data exploration. Let’s understand these commands one by one. 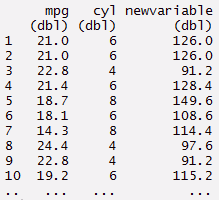 I have used 2 pre-installed R data sets namely mtcars and iris. #You can create complex chain commands using these 5 verbs. This package allows you to perform faster manipulation in a data set. Leave your traditional ways of sub setting rows and columns and use this package. With minimum coding, you can do much more. Using data.table helps in reducing computing time as compared to data.frame. You’ll be astonished by the simplicity of this package. 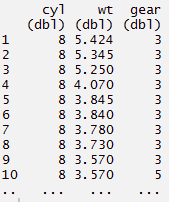 A data table has 3 parts namely DT[i,j,by]. You can understand this as, we can tell R to subset the rows using ‘i’, to calculate ‘j’ which is grouped by ‘by’. Most of the times, ‘by’ relates to categorical variable. In the code below, I’ve used 2 data sets (airquality and iris). ggplot offers a whole new world of colors and patterns. If you are a creative soul, you would love this package till depth. But, if you wish learn what is necessary to get started, follow the codes below. You must learn the ways to at least plot these 3 graphs: Scatter Plot, Bar Plot, Histogram. These 3 chart patterns covers almost every type of data representation except maps. ggplot is enriched with customized features to make your visualization better and better. It becomes even more powerful when grouped with other packages like cowplot, gridExtra. In fact, there are a lot of features. Hence, you must focus on few commands and build your expertise on them. I have also shown the method to compare graphs in one window. It requires ‘gridExtra’ package. Hence, you must install it. I’ve use pre-installed R data sets. As the name suggests, this package is useful in reshaping data. We all know the data come in many forms. Hence, we are required to tame it according to our need. Usually, the process of reshaping data in R is tedious and worrisome. R base functions consist of ‘Aggregation’ option using which data can be reduced and rearranged into smaller forms, but with reduction in amount of information. Aggregation includes tapply, by and aggregate base functions. The reshape package overcome these problems. Here we try to combine features which have unique values. It has 2 functions namely melt and cast. melt : This function converts data from wide format to long format. 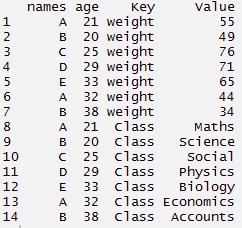 It’s a form of restructuring where multiple categorical columns are ‘melted’ into unique rows. Let’s understand it using the code below. 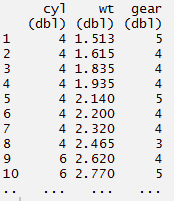 cast : This function converts data from long format to wide format. It starts with melted data and reshapes into long format. It’s just the reverse of melt function. It has two functions namely, dcast and acast. dcast returns a data frame as output. acast returns a vector/matrix/array as the output. Let’s understand it using the code below. Note: While doing research work, I found this image which aptly describes reshape package. Delimited files withread_delim(), read_csv(), read_tsv(), andread_csv2(). P.S – readr has many helper functions. So, next when you write a csv file, use write_csv instead. It’s a lot faster than write.csv. gather() – it ‘gathers’ multiple columns. Then, it converts them into key:value pairs. This function will transform wide from of data to long form. You can use it as in alternative to ‘melt’ in reshape package. spread() – It does reverse of gather. It takes a key:value pair and converts it into separate columns. separate() – It splits a column into multiple columns. 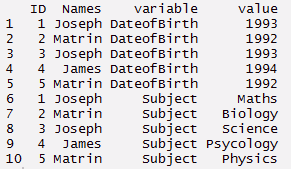 Separate function comes best in use when we are provided a date time variable in the data set. Since, the column contains multiple information, hence it makes sense to split it and use those values individually. Using the code below, I have separated a column into date, month and year. Lubridate package reduces the pain of working of data time variable in R. The inbuilt function of this package offers a nice way to make easy parsing in dates and times. This packages is frequently used with data comprising of timely data. Here I have covered three basic tasks accomplished using Lubridate. Note: The best use of these packages is not in isolation but in conjunction. You could easily use this package with dplyr where you can easily select a data variable and extract the useful data from it using the chain command. 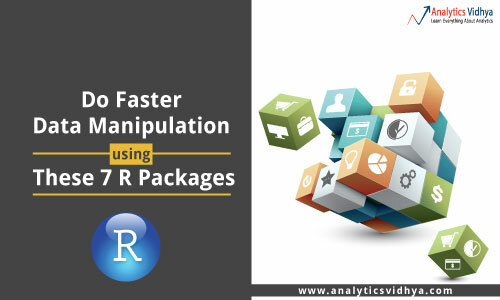 These packages would not only enhance your data manipulation experience, but also give you reasons to explore R in depth. Now we have seen, these packages make coding in R easier. You no longer need to write long codes. Instead write short codes and do more. Every package has multi tasking abilities. Hence, I would suggest you to get hold of important function which can be used frequently. And, once you get familiar with them, you can dig deeper. I did this mistake initially. I tried at exploring all the features in ggplot2 and ended up in a confusion. I’d suggest you to practice these codes as you read. This would help you build confidence on using these packages. In this article, I’ve explained the use of 7 R packages which can make data exploration easier and faster. R known for its awesome statistical functions, with newly updated packages makes a favorite tool of data scientists too. I have a dataframe with 7.5M records and I need to compare each one against all the others. 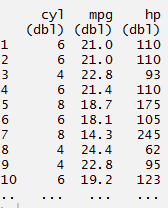 I have tried data.table but even that seems to to be too slow. What package would you suggest to do Cartesian joins? Unfortunately my RDB spools out and I am trying this in R.
You did an great job to provide us a very useful learning material. I have some comments for your reference. b. The package cowplot must be loaded before using the function plot_grid(). You’ve mentioned the cowplot in the article, but it can be added to sample code, it will be better for new learners. Thank you so much Jerry for sharing this knowledge. Thanks for the post. 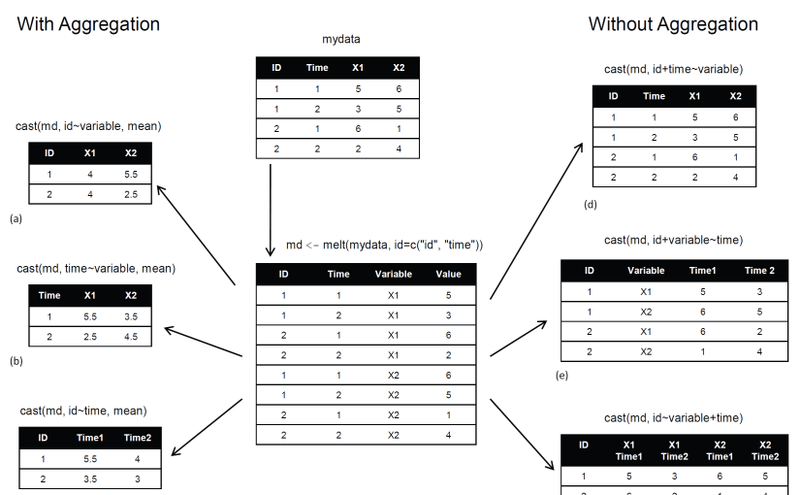 Here is a cheatsheet by R Studio on Data Wrangling with dplyr and tidyr. Great posts! It covers most of frequent normal data manipulation problems in R! I want to learn R language, can you tell me which software I have to download for learning and practicing the R.